Not being able to find a job in any economy (good or bad) can be a real downer. The situation can even much worse when you have disabilities to contend. Luckily, there are programs such as the Missouri Vocational Rehabilitation that are here to help those with disabilities to better be well-equipped in this economy and earn a living on their own. The ability to work and earn a living is a right that everyone needs to be able to enjoy – regardless if you have a disability. No one should be excluded from work in any capacity. As a state-funded program that is operated by both the Division of Vocational Rehabilitation and the Department of Elementary and Secondary Education, workers are ensured by the program to be able to find and secure gainful employment. 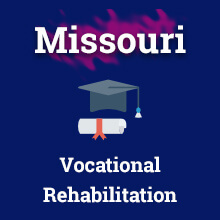 There are a number of services that can be taken advantage of at the Missouri Vocational Rehabilitation Services. It’s important to keep in mind that some of these services are completely free of charge: the client doesn’t have to afford about the affordability of the charge. Other services, on the other hand, are built around on the client’s ability to pay for those services. Some of services can be afforded to the client. However, some of the services that can be deemed necessary and ready to be used even though the client is ready to pay. An exam to diagnose the extent of the disability. A suitable examination to discover which work is a good fit for the client. Consulting for the individual on a short-term basis during the process of rehabilitation and even going further into consulting during the first 90 days of employment. Psychological tests and measurements to ensure the quality of the mind of the client. There are reliable transportation services that clients can take advantage. However, there are other services that can be given to the client based on their amount to pay. Medical procedures that are need to either treat or evidently cure the disability so the client can attend their place of employment. Getting accessories to help the client be able to traverse to work more easily with the use of artifical limbs, wheelchairs, or even hearing aids. Training for the job at hand in order to get the client eligible fully to be gainfully employed. Basic living expenses are even covered in this program. These services are exclusively needed in order to get clients able to start their own independent life by being gainfully employed through the program. Eligibility for the program is not for everyone. Of course, one factor that doesn’t need to be worry about is age. In fact, age is a factor that is ignored when determining the eligibility of being a client who can take advantage of the Vocational Rehabilitation Services. The first criteria is an obvious one with the individual must have a disability. The... ...final and third criteria is that there must be a circumstance that the person who is applying to the program is able to secure employment – even with help and assistance from the program. The question of who determines eligibility is strictly based on the determination of the Vocational Rehabilitation counselor. There are many criteria and factors to go into a decision that allows a certain individual to be able to meet eligibility into the program itself. After meeting the above criteria and discerning if the individual would be an acceptable fit for the program, then the individual is admitted as a client. Understandably, that are a lot of questions that come to mind when it comes to the Missouri VR. Hopefully, the bottom section below can answer your question so you can decide if this program is good for you. Q: How Can I Get Started Today? It’s very easy to for an individual with a disability to get started on the path of employment quickly. There are various VR offices in multiple districts that allow you to reach out to get accepted and admitted into the program. In fact, in certain cases, you can even get referred to the Missouri Division of Vocational Rehabilitation. The toll-free number is for the program is 1-877-222-8963. Q: What Is An Individualized Plan of Employment? An individualized plan of employment is a plant that is found by the client and the counselor to better construct a individual plan for employment. In fact, the plan can have both long-term goals and short-term goals. The most important factor is that the counselor and the client have to collaborate jointly to establish these goals so that the client can be better prepared in order to get gainful employment for themselves. Q: Can This Program Assist The Blind? This can be a considerable concern, especially for those who are afflicted with blindness. Because of the nature of this particular disability, the Rehabilitation Services for the Blind are placed in a separate department than from Missouri Vocational Rehabilitation. The purpose of that particular program is to ensure that those who are blind are able to have a life that is rich in quality. The Rehabilitation Services are not just limited to people are blind, it is meant for those who are visually impaired, too. Q: What If I Don’t Agree with The Plan Vocational Rehabilitation? As a client of Missouri Vocational Rehabilitation, clients are able to appeal the plan in order to modify it to something that is beneficial to them. There is a request due process. Also, mediation can be prescribed as a manner to alleviate confusion or discontent with the program. The client has to reach a resolution, otherwise, the appeal process has to continue. Most of the jobs that are prescribed here are mainly general labor factory jobs that those with a minimum degree of comprehension can work at. However, there are certifications that the client can take advantage of in order to ensure that they are able to be gainfully employed by the company and as a result, live independently. Having a disability that prevents the sufferer from being able to participate in the ability to independently live on their own. Having a reliable program such as Missouri VR allows people with disabilities to participate in the workforce despite the setbacks that these individuals have. This enables their clients to independently live with dignity intact. I am very interested in receiving some information sent to me please.